Samsung’s Galaxy Note 8 was the best phone you could buy for about a week. 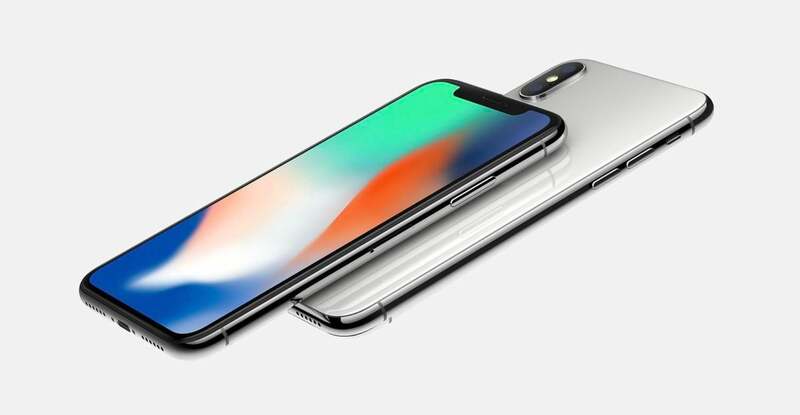 Now Apple has come along and spoiled Samsung’s party with not one but two new phablet-sized phones: the iPhone 8 Plus and the iPhone X. While the new iPhones still don’t come with a stylus, Apple did upgrade them in just about every other way. So how does Samsung’s flagship stack up to Apple’s latest handsets? Let’s take a look. The iPhone X is significantly smaller than the Note 8. If you’re looking for the absolute biggest phone you can buy, Samsung wins here. It’s Note 8 has a whopping 6.3-inch display, a good deal larger than the iPhone X’s 5.8-inch one. But screen size doesn’t tell the whole story. The iPhone X’s Supe Retina display is simply gorgeous, but the Note 8’s is no slouch. The A11 chip in the new iPhones is something to behold. Comparing iPhones to Galaxy phones has never been an apples to apples comparison, but on paper, Apple’s A11 Bionic chip is a screamer. With six cores and 4.3 billion transistors, it looks to give the Note 8’s Snapdragon 835 a real run for its money, at least in terms of raw power. In real-world use, however, the phones will be pretty close in speed, but the Note 8’s 6GB of RAM could pull it closer in benchmarks. Apple has traditionally been stingy with its RAM thanks to the intense iOS optimizations, with the iPhone 8 Plus topping out at 2GB. 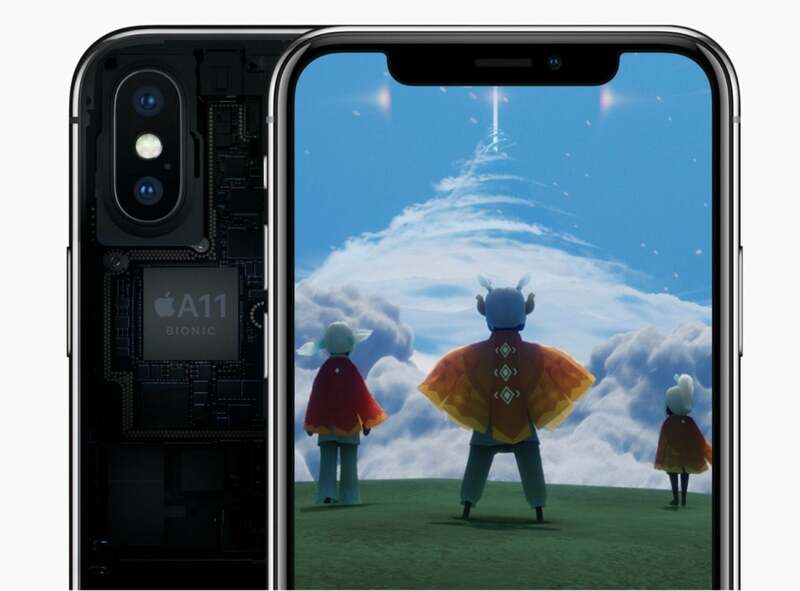 The A11 chip also integrates an Apple-designed GPU with a three-core design that should give games a boost. The Note 8’s battery is great, but will the iPhone X’s be better? We won’t know exactly how big the new iPhones’ batteries are until iFixit’s customary tear-down, but based on Apple’s claims, the iPhone 8 Plus will last “about the same” as the 7 Plus, while the X will last “up to two hours longer,” and both phones now support Qi wireless charging like the Note 8. The Note 8’s 3,300mAH battery gets around 9 hours of real-world use, more than enough to get through a full day of use, and the 7 Plus was equally long-lasting. If the X truly lasts two hours longer than the 8 Plus, it could put it over the top. The S Pen isn’t the only thing the Note 8 has that the iPhone doesn’t—it also has an SD card slot. All three phones offer a base model with 64GB of storage. However, the iPhone 8 Plus and iPhone X add a 256GB tier that isn’t available on the Note 8 (at least not in the U.S. anyway). 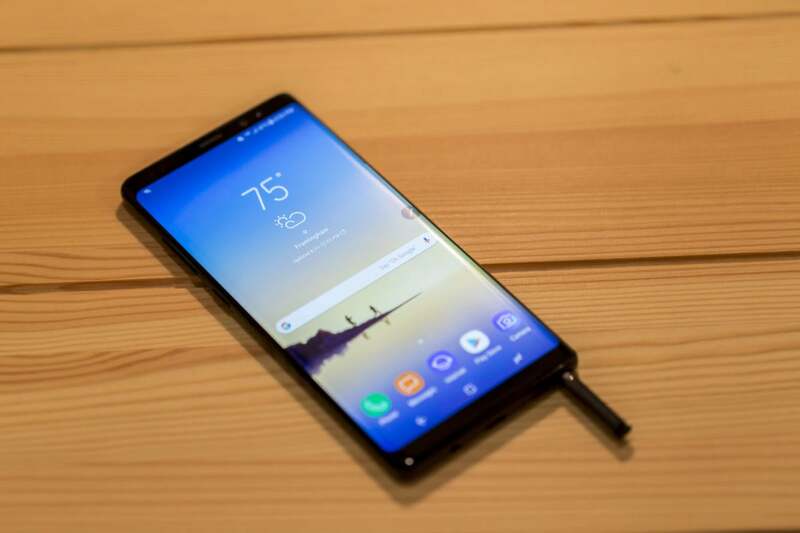 However, the Note 8 includes a microSD slot so you can upgrade the storage as much as you’d like, and for a lot less than the $150 Apple is charging for 192 extra gigs of storage. The Note 8 is a great camera, but the iPhone X’s might be even better. All three phones have very similar cameras, with the Note 8 edging out the iPhone X slightly when it comes to aperture. 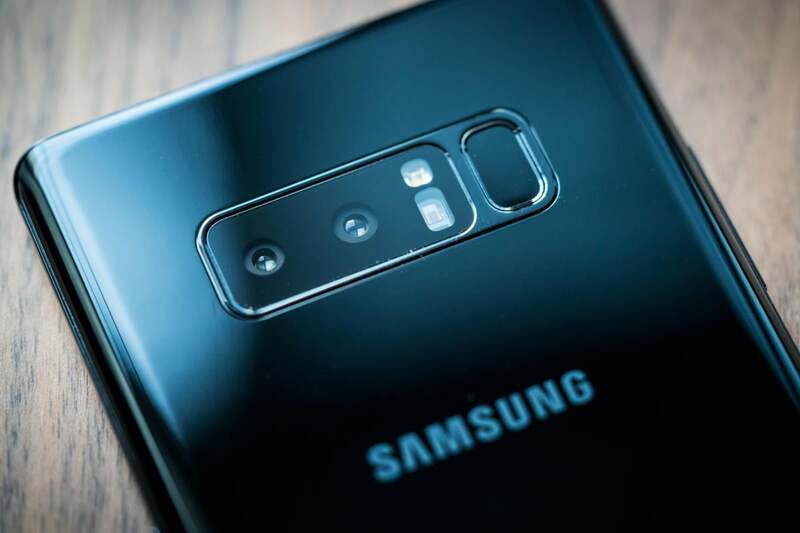 Additionally, all three phones feature a “bokeh” mode—Portrait on the iPhone and Live Focus on the Note 8—but the Note 8 offers the ability to adjust the level of background blur, which isn’t available on the iPhone. However, the iPhones have a new feature called Portrait Lighting that simulates various instances of studio-style lighting after portraits are shot. When it comes to video recording, the iPhone 8 Plus and X both film in 4K at 60fps, while the Note 8 tops out at 30fps. Additionally the iPhones have slo-mo video support for 1080p at 240fps, while the Note 8 only supports 720p. As always, however, the proof will be in the pudding. 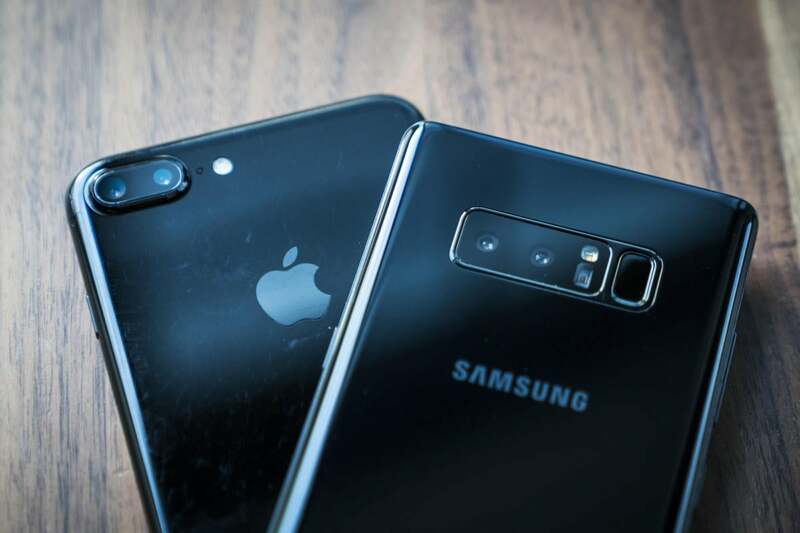 Apple has introduced an improved image signal processor for the new iPhones as well as some auto-focus and lighting tricks, but we were pretty impressed with the Note 8’s new camera too. When it comes to AR and VR, the Note 8 and the iPhone X are in different leagues. 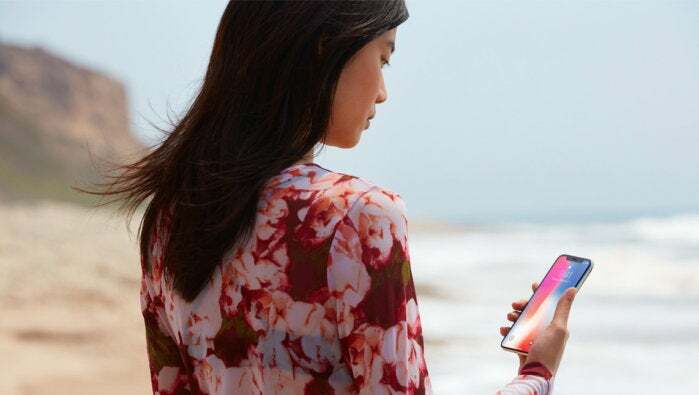 The Bionic in the iPhones’ new A11 chip means it has a neural engine with a dual-core design that performs up to 600 billion operations per second for real-time processing to help with Face ID, Animoji, and augmented reality. Samsung doesn’t specifically tout any AR benefits of the Note 8, but Google’s new ARCore will allow the phone to take advantage of the emerging tech, but it remains to be seen if it will be as advanced as Apple’s ARKit. The Note 8 does beat the iPhone 8 Plus and X when it comes to VR, however. Pop the phone into a Gear VR headset and you’ll be able to watch 360-degree videos and play immersive games, something no iPhone can do yet. You have to unlock the iPhone X with your face—there’s no more fingerprint sensor. The iPhone 8 Plus includes the standard Touch ID fingerprint-scanning sensor. 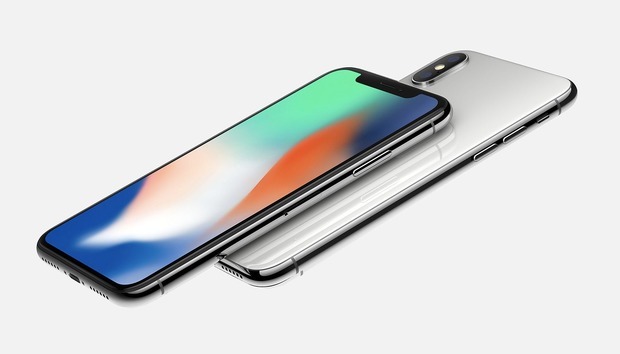 However, since Apple has eliminated the home button on the iPhone X, that phone doesn’t have Touch ID. 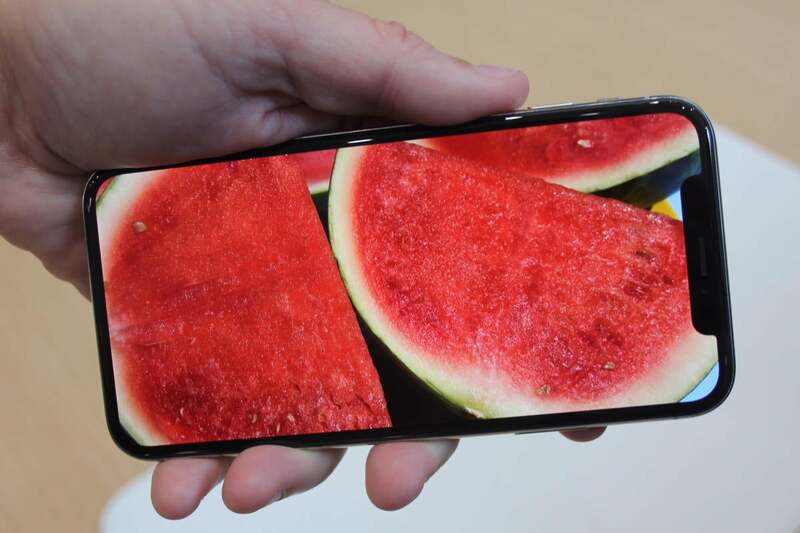 In its place is Face ID, which uses the TrueDepth camera system to build a “unique facial map.” The Note 8 features an array of options for unlocking your phones, including fingerprint, retina, and face. The fingerprint scanner isn’t in the greatest spot and we had loads of issues with facial recognition, but the retina scanner worked flawlessly during our testing (though others haven’t had the same result). Apple promises that it’s just as secure as Touch ID, but we’ll have to test it out to be sure. The iPhone 8 Plus is the cheapest of the lot.